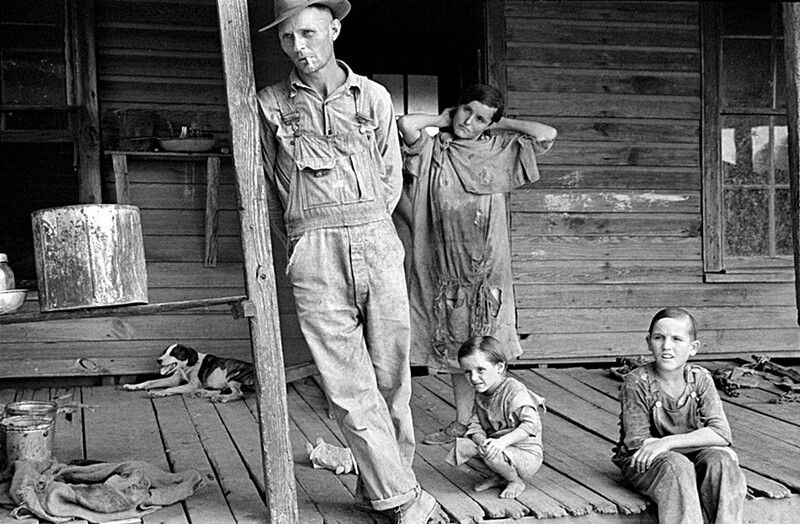 In the summer of 1936, 33 year-old photographer Walker Evans was invited by writer James Agee to take time off from his work with the Resettlement Administration to collaborate on a story for Fortune magazine about Alabama sharecroppers. 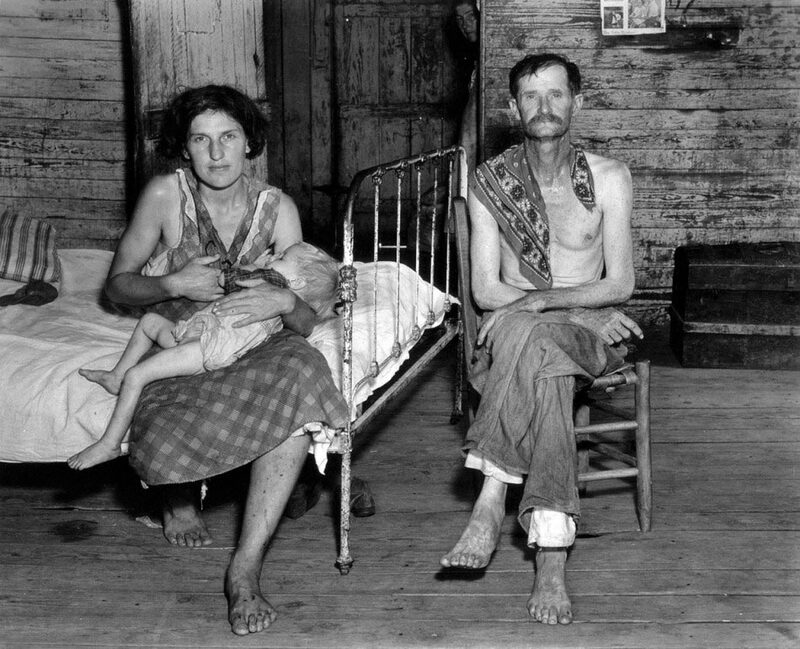 The two set out to the tenant farms of rural Hale County and began documenting the impoverished lives of three families. Today at the Centre Pompidou in Paris, I’m staring back at Evans’ most famous work — a portrait of 27-year-old Allie Mae Burroughs, mother of four and wife of Alabama cotton and corn farmer Floyd Burroughs. Evans lived for eight weeks with the Burroughs in their four-room, clapperboard cabin, rented from a landowner to whom they also relinquished half their crop yield and paid for their mules and farming tools, all their food, fertilizer, seed and medicine. Over the previous year, the Burroughs had been chipping away at a crippling debt of 200 dollars. Esoterica: Walker Evans was born in 1903 in St. Louis, Missouri and grew up in Toledo, Chicago and New York City as the son of an ad-man. In 1926, after dropping out of a degree in French literature, Evans went to Paris, attending classes at the Sorbonne and stalking the haunts of his literary heroes Baudelaire, Flaubert and Proust. Having collected postcards as a boy, Evans took snaps with his pocket camera of passersby, street signs, advertising, shop displays, garbage, architecture and himself. When he returned to New York, he clerked for a stockbroker while getting his photos published in magazines. In 1933 he went on assignment to Cuba where he hung out with Hemingway and documented the political regime. 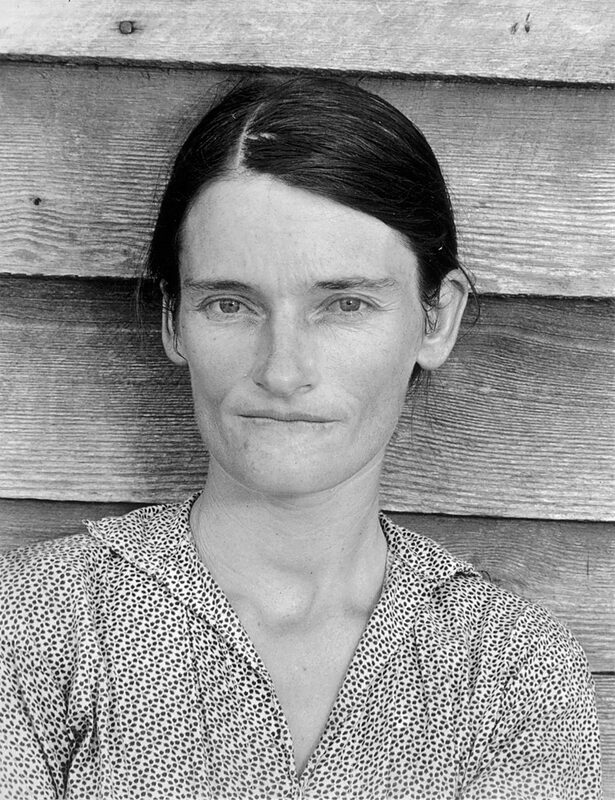 Between 1935 and 1938, Evans worked with the Resettlement Administration and the Farm Security Administration photographing the tenant farmers of the American south. Wonderful letter. I have loved taking pictures and photography since I was a child. Started doing other things, and didn’t take a step forward with it. Maybe I still will. 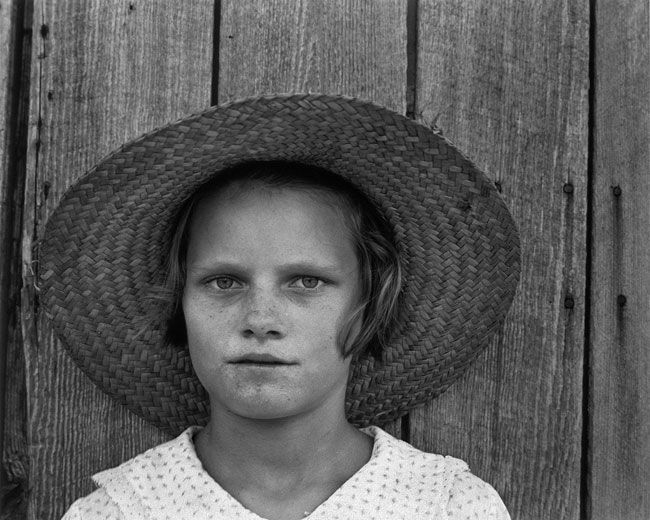 Interesting stories on Walker Evans life, his comments, and the Photographs! Thank you, Sara. The eyes say it all, eveb the chlidrens. Art as social commentary adds an additional dimension to what can sometimes be regarded as a frivolous exercise. As an artist it’s hard to know how to approach it without sinking into cliches. Interestingly, just today I just resurrected a five-year-old painting that is a commentary on the tar sands in Alberta by putting it up for auction on Artbomb. I don’t know if I got it right or not. It’s a tricky path to tread. 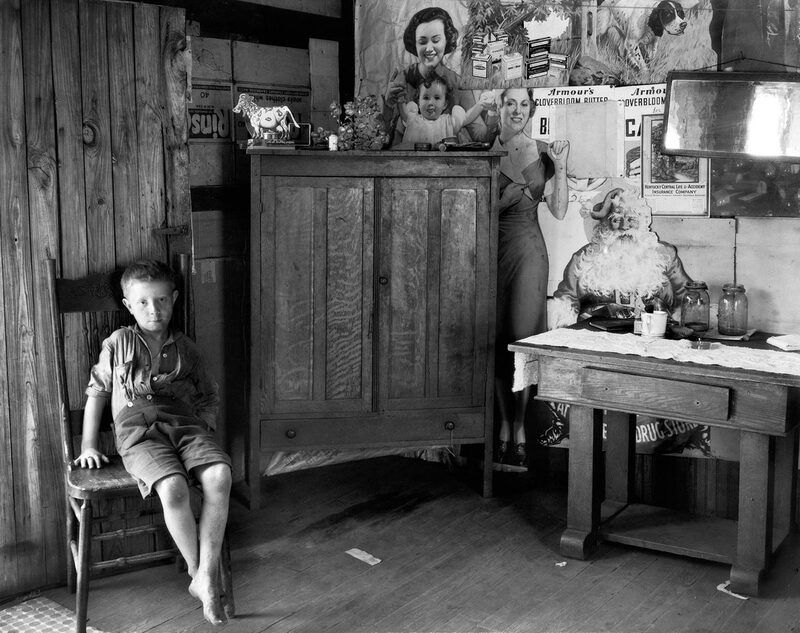 In the 1970s I was studying photojournalism in college and Walker Evans and the other Depression-era Farm Security Administration photographers were my unseen mentors. I studied and learned everything I could from their photographs. The Amon Carter Museum in Fort Worth often displayed some of their photographs and I would spend hours studying them close-up. I worked as a photojournalist 31 years and I attribute much of my success to those photographers. These photos are about honesty. …by the photographer and by his subjects. The images have dignity. here is a link to the catalog. 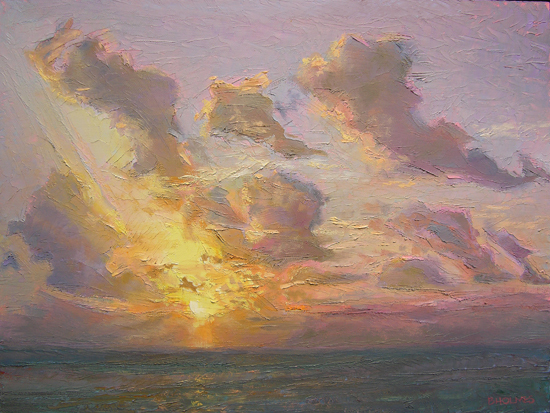 If you google the phrase ” Lisa Ruyter Let us now praise famous men” you will get a whole bunch of her paintings in the series. It was spectacular, and I think she is still painting them. 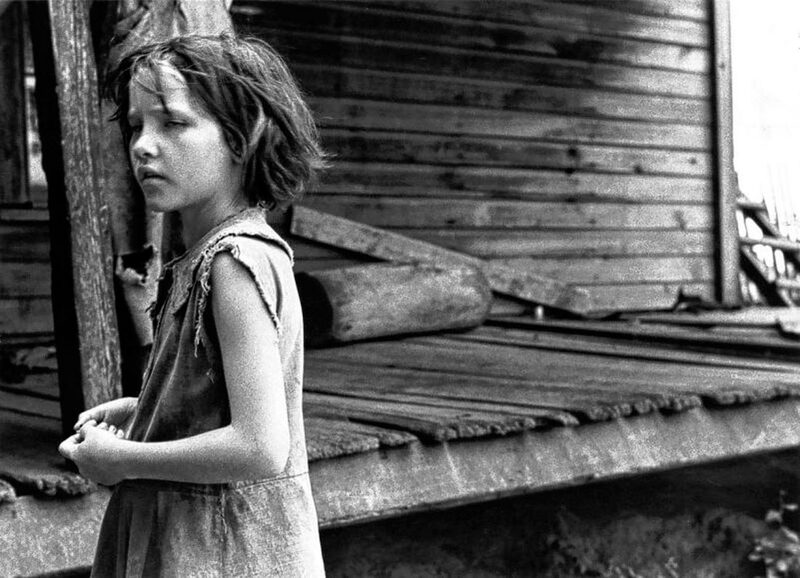 Having grown up in the Midwest, I saw and still see the lingering poverty. I have seen the family photos and heard the oral history of my family from this dust bowl time and am amazed at the tenacity of these people. The old vehicles, the closed stores in the small towns, the lack of anything even approximating new houses and the dying off of the old people who still remembered. I remember because I lived with my grandparents in the aftermath of this period. I saw the daily struggle to survive. The poverty is still there. Oh it has been made a little shinier, maybe a little less obvious, so as not to offend. It is still there. Much of my own painting is about color and I revel in it. Yet the colors used by your daughter to describe the people of this time offends me. It was a very bleak time and there was not a lot of hope or options. A very gray period where people were just trying to survive, literally. I have looked at the other work by your daughter and find it well thought out, colorful and something I would hang in my house, the ultimate compliment from me. I think as artists some of us are looking for a reaction and Your daughter got one from me but I continued and found beauty. Thank you. ‘The eye traffics feeling, not thought’!! !Thank you Sara, I really love PaintersKeys. You know that time with something that you are getting to know, at first it’s requires varying degrees of interest, then all of a sudden you know that the Interest has turned to love and you don’t want to be without that thing. That’s what this article did to me this morning and now I love Painters Keys. Everything about has a special quality and I’ll be passing it on. There have been photographers from Center for Creativery Studies who photographed people in Cass Corridor. Same sort of purpose. Chicago has its Wacker drive also. This dustbowl saga is also similar in my mind to the western film “Lonesome Dove” with its stark, jarring reality.